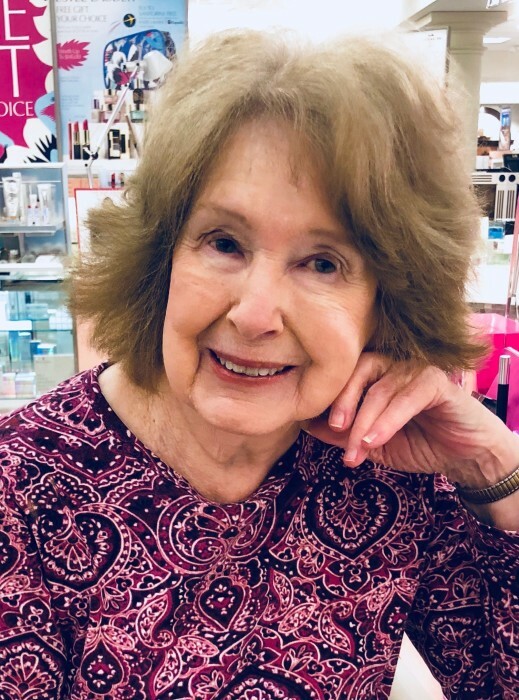 Mrs. Nancy Ellen Griffith,86, of Dothan, passed away after a short illness and the Lord took her home Friday September 14, 2018. She will be tearfully missed. Mrs. Griffith was born in Pansey,AL. on January 7,1932 to Benjamin and Claudia Whatley. She was the second of four siblings: Morrell Morgan, Francis Martin (Buddy), and Shirley Smith. She married Lynn Burgess in 1945 and had four sons: Jesse Lynn Burgess, Tony Wayne Burgess, Michael Bud Burgess, and Joe Allen Burgess. In 1959 she married Charles Franklin Griffith and had two sons: Charles Richard Griffith and Franklin Duane Griffith. She loved cooking, flowers, and most of all she loved her family. Funeral Services: 11 AM, Tuesday, September 18, 2018 at Ward Wilson Funeral Home with visitation one hour prior to service, burial to follow at Memory Hill Cemetery. She was preceded in death by her parents, husband: Charles Franklin Griffith, and son Michael Bud Burgess. Survivors include sons: Jesse Lynn Burgess (Betty Jean) of Dothan, Tony Wayne Burgess, Joe Allen Burgess (Gail) of Cottonwood, Charles Richard Griffith (Melinda Louise) of Headland, Franklin Duane Griffith (Pamela Denise) of Birmingham; grandchildren: Felicia Louise Waller, Brittney Melinda Filion, Zachary Tyler Griffith, Garrett Benjamin Griffith, James Allen Burgess, Randall Lee Burgess, and Christina Rene Burgess; great grandchildren, Tristan King, Charlie Filion, Allen Burgess, Brandon Burgess, Charlton Burgess, Dylan Burgess, Destiny Burgess, Colby Burgess, Lilly Ann Burgess, Sean Hopkins, David Hopkins, and Jessica White, and several great-great grandchildren, nieces and nephews. The family will be accepting flowers.